‘Steed of the Jungle God’ by wildlife conservationist Raza H Tehsin is about the strangeness of the jungle as well as a family united by a singular passion. Steed of the Jungle God is a book that holds what grandmother’s tales are made of. Reaching into memory and family folklore, with the leisure to elaborate, and the skill to make believe. At its heart, this book holds a interesting proposition – the investigation of supernatural fears by a rational mind, a searchlight in the depths of the dark wild. But of course, the texture of such a story depends not only on who is telling it, but how much a part of real life it really is. Raza H Tehsin, a pioneer of wildlife conservation in Rajasthan, is both author and active participant in the stories that form a part of this book and go back to the time of his father. Tehsin is assisted in the writing of the book by his daughter Arefa, an accomplished wildlife and travel writer, and some of the stories are narrated by his sister Razia. Accompanying illustrations by Sumit Sakuja and Sonal Goyal deftly convey the light and dark of the jungle, the prominent setting for these stories. A solicitous usher once seated me in a movie theatre and, full of good feeling, revealed the “suspense” of the film I was about to watch. I won’t attempt such a good deed here, though I’m sorely tempted. The amusing twists and strange solutions that break open mysteries that had become traumatic traditions of village life are so stimulatingly narrated in this book that the reader needs to go through them on their own – the casual descriptive beginnings of each story, the curiosity and courage of father and son and sometimes their friends, and the full-blooded detailing – to partake in the triumph of discovery. Giving too much away would only harm the fulness of those moments. In the prologue, Tehsin writes of his love affair with the jungle: “I was barely out of my diapers when I had my first experiences of shikar. I took my first shot in 1945 at the age of three!” The journey that such an avid hunter takes to become a wildlife conservator is fascinating, framed by history, aided by royalty, and peppered with mischievous youngsters, wary animals and an array of characters wedded to the wild in a number of ways. Since the book is about father, son, or both, investigating “supernatural” or simply strange occurrences in the jungle, it is important to note that Tehsin (or his father) doesn’t approach these situations as sceptics come to judge. “It was from my Bapu that I had learnt never to ridicule the talk of jungle folk about legends and myths, as more often than not there was a basis to it.” It’s a sense of belonging and empathy that comes from knowing and having lived in these settings. It isn’t easy to pick out and present a few striking examples from Steed of the Jungle God because each story is a mini adventure, and also a commentary on the times it tells of – its places, people and wildlife. But one of my favourite parts of the book is about Bapu (Tehsin Sr), a man who hunted for sport as well as to help villagers troubled by wild beasts. He was also an arms expert whose advice was widely sought. In one episode, we find him staying in the “haunted” guest house of Sunder Vilas in the famous temple town of Nathadwara. Bapu is comfortable with the place because “its garden and plantations gave it the feel of a mini-forest.” He is disturbed at night by a ghostly sound but when he gets up to investigate, there is no one there. On the fourth night, assisted by his attendant, he devises a plan and catches, red-handed, the unlikely “demon of Sunder Vilas Bagh” in a hilarious anti-climax. Many characters pop up repeatedly in the book, like Phooti, Bapu’s old double-barrel 12-gauge gun with one busted barrel. “In the recesses of deep jungles, amidst angry growls of attacking panthers, and in the whisperings of lonely nights she had been there by my side ready to protect me.” Phooti, his “most beloved companion”, appears in story after story. As does the hut in Dholi Ghati in the Aravalli Hills where he lived during the time he was supervising the asbestos mines there. A perennial rivulet flowed nearby and the “bushy” jungle was alive with all kinds of birds and little animals. The loneliness, beauty and liveliness of the surroundings at night, the vulnerability of the hut during severe storms, all come alive in the book. Among the “moments” that mark this book, there’s also one that gives Tehsin’s taken-for-granted younger brother a step up to bravery and the name “the boy who didn’t run”, as he stands by his brother, fearlessly facing a panther. There is the unmasking of hilarious jungle mimics that had spread such terror in the night, and the plight of the panther cub who has to feed his injured mother. 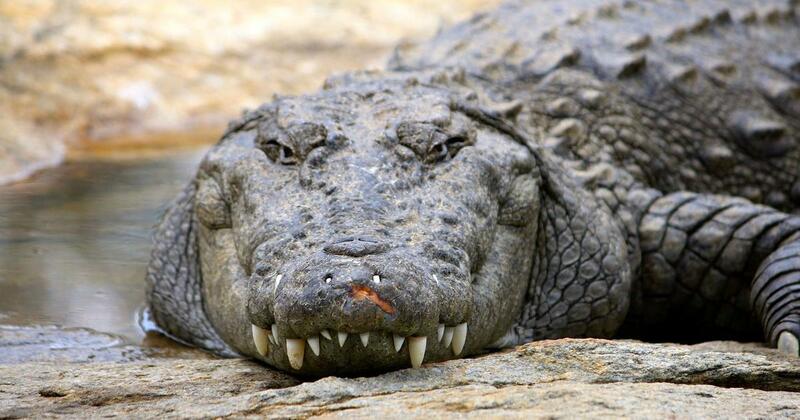 In one story, an impulsive shot by Bapu kills a giant crocodile and, thus, a dreaded legend. He finds out later that an English marksman had “reserved” the kill, but the deed is done, triggered by the naive remark of a local shikari. Raza fires at another crocodile, but it slips into the water and disappears. He presents a fascinating tableau: a water snake hunted by two predators – a monitor lizard and a mongoose. It is a long description where nothing lethal happens but it is, in a microcosm, a theatre of the wild. Hunter, hunted, rivals in competition with their own cunning defence mechanisms, their own graceful escapes. The real characters of these stories are boars and bears, crocodiles and snakes, monkeys and owls, (panthers and hyenas!). Truly grandmother’s tales, whose perfection lies more in the telling than in the craft, in experience more than creation. 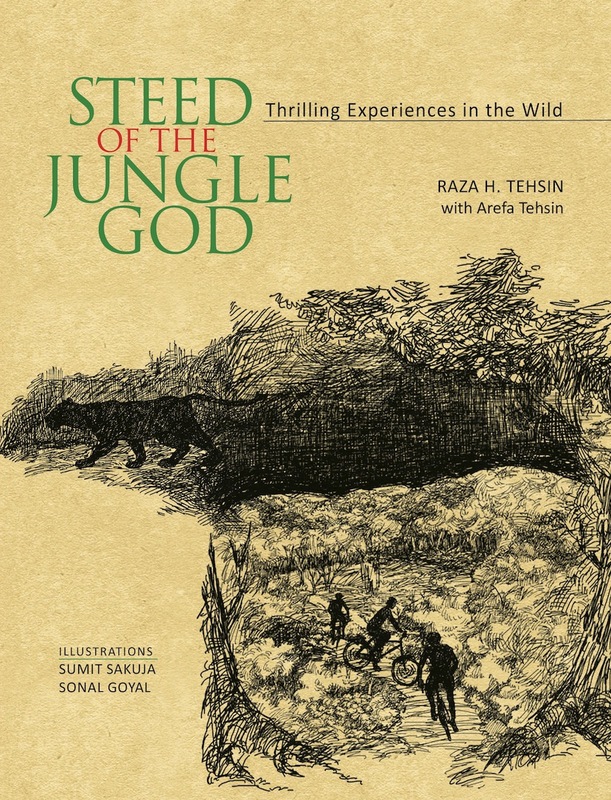 Steed of the Jungle God, Raza H Tehsin with Arefa Tehsin, National Book Trust.